Many of our country’s top experts on Public Health Dentistry are assembled this week in scenic Huntsville, Alabama for the 2013 National Oral Health Conference. At yesterday’s opening ceremony, United States Surgeon General Dr. Regina Benjamin expressed her strong support for community water fluoridation. The press release from the American Dental Association can be found below. 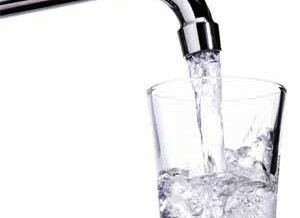 Do you know if your hometown water supply has fluoride added to it? Salem, Beverly and Danvers were among the first Massachusetts cities to add fluoride to their community water supply and have been fluoridated communities since 1952. Marblehead and Swampscott began adding fluoride to their community water supply in 1978. Peabody and Lynn have been fluoridated communities since 1983. Click here to see the full list of 140 Massachusetts cities and towns with fluoride added to the public water supply. U.S. Surgeon General Regina Benjamin, M.D., April 22 officially endorsed community water fluoridation as “one of the most effective choices communities can make to prevent health problems while actually improving the oral health of their citizens.” Dr. Benjamin made her endorsement via a letter read at the opening ceremony at the National Oral Health Conference in Huntsville. Every surgeon general for the past 50 years has endorsed community water fluoridation of community water supplies as a safe and effective weapon in the war against tooth decay. The American Dental Association has supported fluoridation since 1950. Dr. Benjamin’s letter to the National Oral Health Conference is available on ADA.org.